#62 Any external dwelling flagged, regardless of level, incrases town production of the unit by 1. 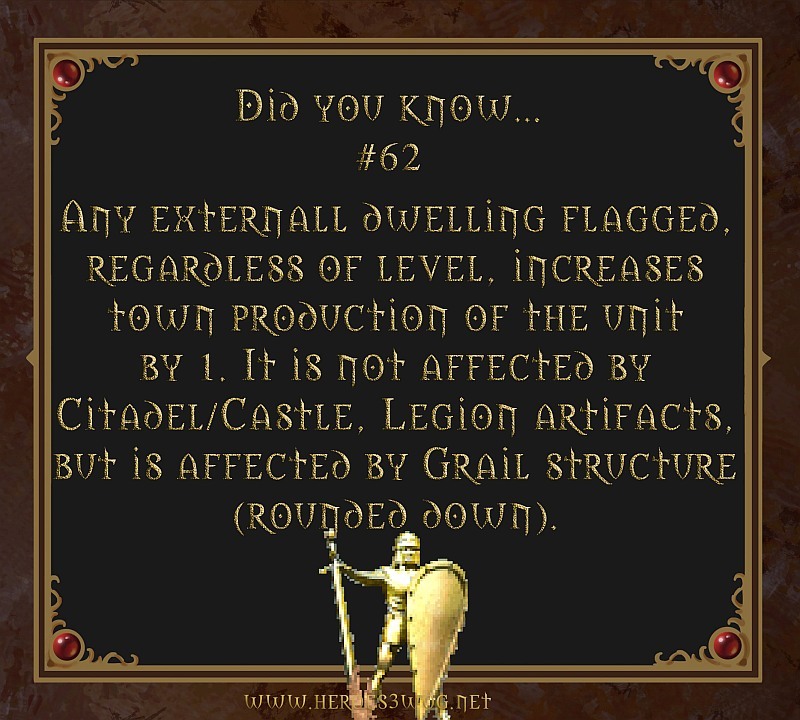 It is not affected by Citadel / Castle, Legion artifacts, but is affected by Grail structure (rounded down). 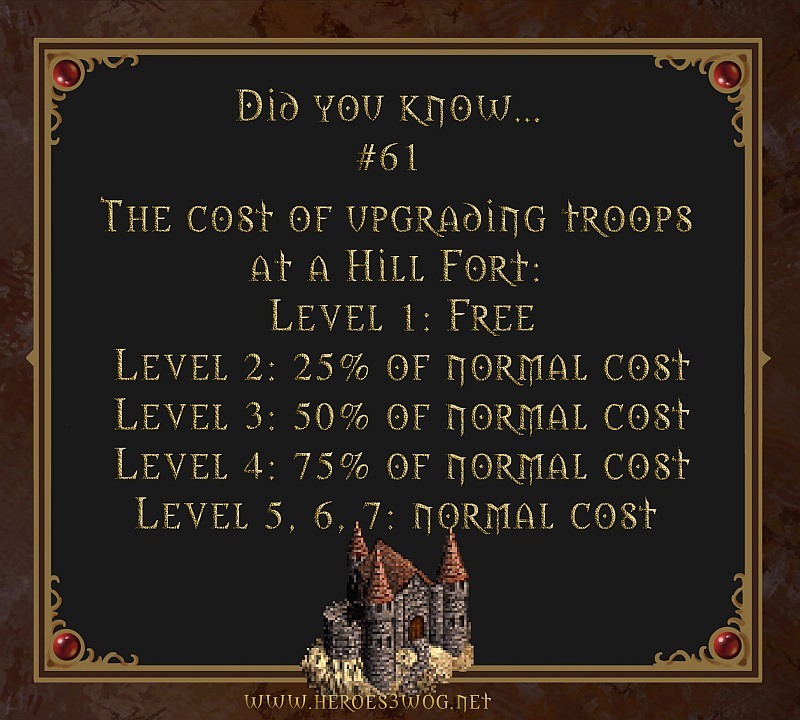 #61 The cost of upgrading troops at a Hill Fort: Level 1: Free, Level 2: 25% of normal cost, Level 3: 50% of normal cost, Level 4: 75% of normal cost, Level 5,6,7: normal cost. 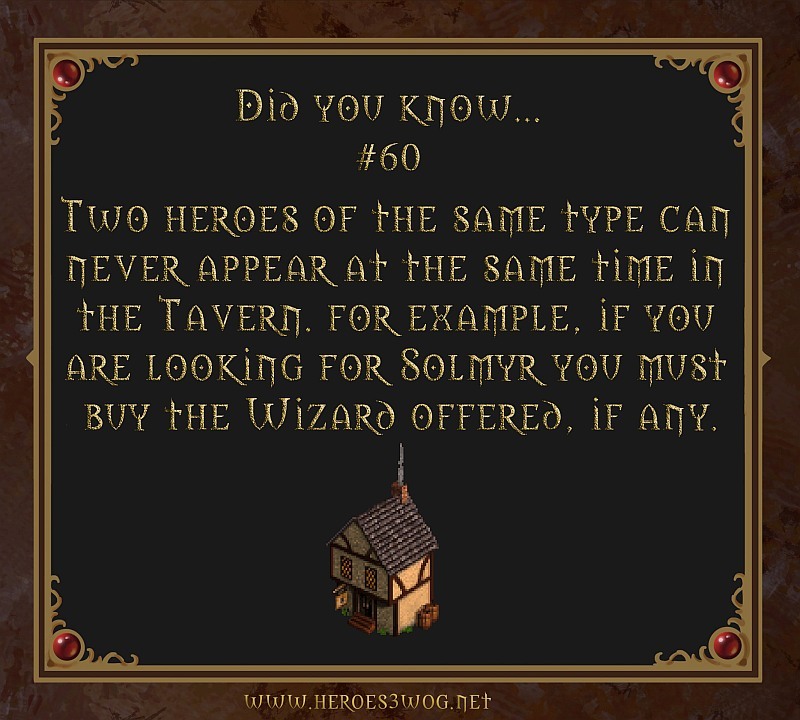 #60 Two heroes of the same type can never appear at the same time in the Tavern. For exapmple, if you are looking for Solmyr you must buy the Wizard offered, if any. #59 Abandoned mine can never be of Wood type. 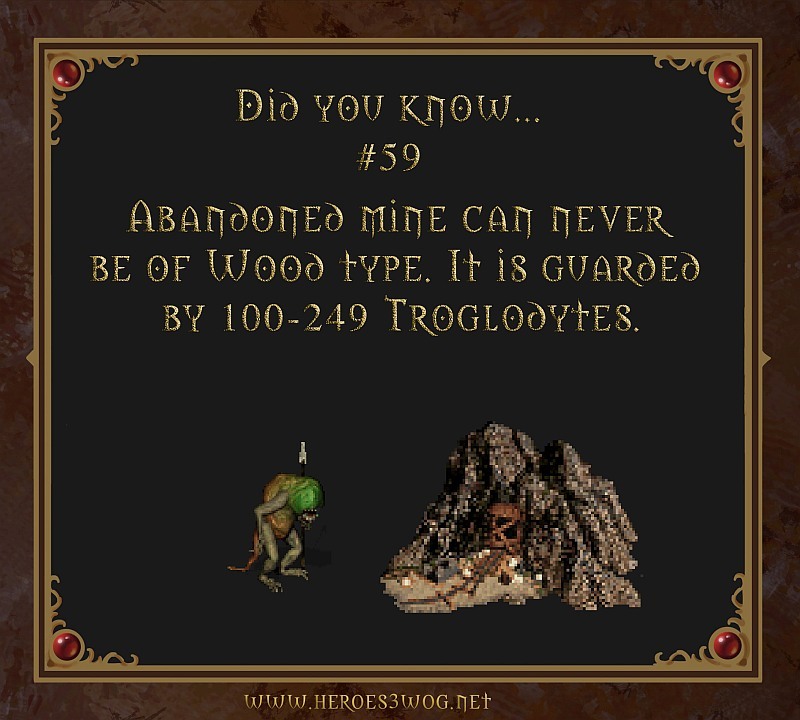 It is guarded by 100 – 249 Troglodytes.